The Chatham, Windsor and Sarnia Clean companies have common local ownership and management and have been providing janitorial and other commercial cleaning services to communities in the southwestern part of Ontario since 1987. We are a full service commercial cleaning and maintenance management company that services several industries such as health care, manufacturing, education, retail and professional services. You can also visit the website of our sister company ServiceMaster Restore of Chatham. 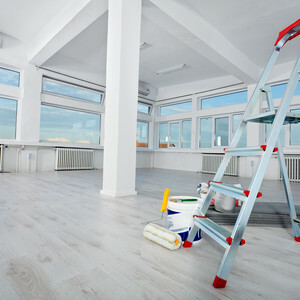 ServiceMaster realizes that each client has unique office cleaning needs and provides custom programs to address them. Our adaptability and experience in the service industry allows us to provide solutions for a range of clients from large scale multi-service 24 hours a day 7 days a week facilities, to one time cleaning engagements. Our research and development team have created state of the art equipment, products and methods to ensure you receive an effective, efficient and environmentally conscious cleaning experience. We believe that commercial cleaning is not a commodity but an opportunity to provide remarkable service. That’s why we focus on mastering the basics and consistent service delivery as foundational to our business. Along with our focus on fundamentals, we partner with you to understand your unique needs and monitor the overall condition of your facility. Serving as an extension of your staff, we pride ourselves on going "above and beyond" your expectations.